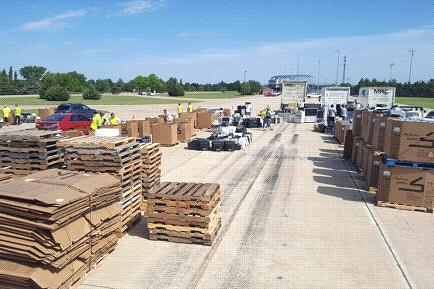 E-Waste Recycling Event Is Coming Back To Salina, Ks. The City of Salina will be hosting our 11th annual E-Waste Recycling Event in May. E-waste refers to old electronic equipment that is ready to be discarded , but this event offers the opportunity to recycle even more! Once again we will be accepting almost anything that has a cord or uses a battery. Our partner for this event is Midwest Recycling Center, of Imperial MO. MRC is an R2 certified recycler which means they must maintain the highest standards of safety, security and responsibility for both themselves and their downstream processors. These items will not end up in a landfill. Last year’s event brought in over 400 vehicles and 31 tons of waste.